Certified Organic, high in fiber and absolutely delicious! This nutty tasting seed can be enjoyed by mixing it into smoothies, baked goods, yogurts, salads and other favorite recipes. The possibilities are endless! The Nutrients You Want! 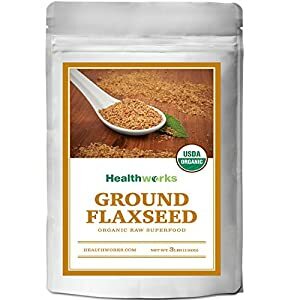 Flaxseeds are packed with omega-3 essential fatty acids, SDG lignans, protein, iron, magnesium and soluble and insoluble fiber. It is a great nutritional boost to your diet!